KMAT Kerala 2019 Registration- Cochin University of Science and Technology (CUSAT) under the supervision of Admission Supervisory Committee (ASC) has released the online application forms for KMAT Kerala 2019 on its official website, https://kmatkerala.in. Eligible candidates can apply online for KMAT Kerala 2019 till 31 January 2019 (05 PM). The exam authority will not accept any hard copy of KMAT application form 2019 at their official address. 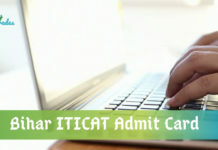 Before filling the application form of KMAT Kerala 2019, candidates are suggested to read all the eligibility norms. The registration process will be considered complete after fee payment. Candidates belonging to General Category should pay a fee of Rs 1000/- whereas candidates belonging to SC/ST category should remit an application fee of Rs. 750/-. A link to apply online for KMAT Kerala 2019 has been provided below. Read the article for complete KMAT registration [process. KMAT Kerala 2019 will be conducted on 17 February 2019 for the admission into MBA courses in the state of Kerala. Candidates who are studying for last year/ last semester of graduate degree course and are awaiting their results are eligible to apply for KMAT Kerala 2019 Entrance Examination. 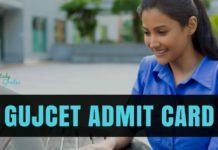 The different exam centres in Kerala, Chennai, Mangalore, U T of Lakshadweep, Bangalore and Coimbatore will be allotted to the candidates based on their preference. Candidates should have qualified Bachelor’s Degree Examinations in any discipline with 50% minimum aggregate marks (40% for SC / ST) from a recognized university. 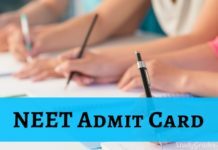 How to submit KMAT Kerala 2019 application form online? Click the above given link or visit the main website of KMAT Kerala 2019. Select the option “Click Here for Registration” available on the home page. 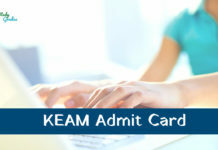 Login to your account with the computer generated application number and password to completely fill the KMAT Kerala application form 2019. Upload the scanned images of photograph and signature of size less than 40Kb and .jpg format. After submitting the KMAT Kerala 2019 Application form, no changes will be entertained. Hence, while filling the application form, carefully check the details. Stay Connected With StudyGrades for Latest Updates on KMAT Kerala 2019 Registration!